Have completed, or be in the process of completing, a minimum 15-unit pattern of college preparatory courses. (Each unit is equal to a year of study in a subject area.) A grade of C or higher is required for each course. Note: If you are missing a course, or would like to review the requirements for obtaining a waiver for the "Language Other than English" requirement, visit Freshman: Admission Requirements. Have a qualifiable eligibility index, which is the combination of your high school grade point average (10th, 11th, and 12th grades for all college preparatory courses) and your test score on either the SAT or ACT. The Eligibility Index Tables show the combination of test scores and grade point averages required to meet minimum eligibility requirements. (If you apply for admission before you graduate from high school, compute your GPA using grades earned in courses completed after the ninth grade. Do not include grades you expect to earn in courses during the remainder of the 12th grade.) For assistance calculating your own eligibility index, visit Freshman: Admission Requirements. Fall 2017 applicants can submit SAT test scores from either the old or new (post March 2016) test; however, scores can only be combined if they are from same test fromat. Students will be reviewed using the same eligibility index regardless of test format. The Department of Music requires all music bachelor of arts applicants to submit a Departmental Application. Please visit the Music Department website to learn how to submit an application. *Cal State East Bay has switched to the semester schedule as of the fall 2018 semester. 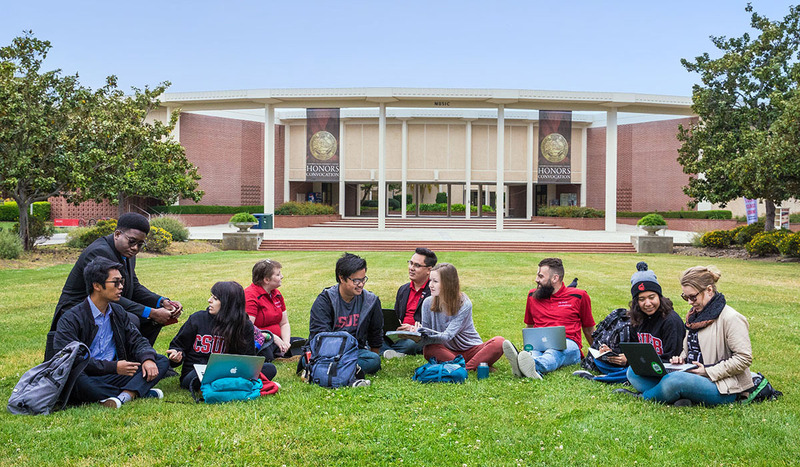 Cal State East Bay's application for admission applies only to the semester indicated on the application form at the time of submission. If you would like to update the starting semester on your application, simply log back into your saved application stored in Cal State Apply, update the semester when you wish to begin, confirm that your address and previously attended institutions are still current, and submit your new application for admission with your application fee. Cal State East Bay will then notify you upon receipt of your updated application with a letter by postal mail. The Educational Opportunity Program (EOP) offers a variety of support services designed to ensure student success at Cal State East Bay. EOP is designed for students with economically and educationally disadvantaged backgrounds to be able to access and continue in college. The program serves California residents who are regularly admissible, as well as those who may need special admission. EOP participants must have a history of low income, need academic support services, and demonstrate the motivation and potential to succeed at California State University, East Bay. To apply for the program, prospective students must complete the Cal State Apply EOP Application by the EOP deadline. Visit the Educational Opportunity Program for more information and specific program requirements.